Music heals the soul, so why not let it heal your soul and get paid? SliceThePie is a good resource for that. It is very similar to MusicXray, which I have wrote about before. It also helps the little-known artist get discovered and users like myself earn extra cash for listening to their music and giving a through review. mobiSave is a wonderful rebate app where users select items they plan to purchase and after submitting proof of the purchase, they get an immediate rebate. They offer rebates on a variety of things, such as foods, household items, health and beauty products, magazines, and even any brand rebates. They never charge an inactivity fee and there's no limit on payouts. My favorite thing about mobiSave is that you can shop anywhere! Yes, anywhere! Many rebate apps only let users shop at a particular store in order to get the rebate, so this is a unique quality. One that I take full advantage of. Amazon Mechanical Turk, or mTurk, is a nice way to make some extra cash from home. You won't get rich, but it's absolutely worth doing in my opinion. Many times it has been my only income, but I had to work very hard. Sometimes you gotta do what you gotta do to make it. mTurk is a service from Amazon. It has been around since late 2005 and has over 500,000 task workers, including myself. It's a crowdsourcing site where workers finish tasks and earn money. The tasks are called HIT's (Human Intelligent Tasks). Workers choose when they want to work, and which tasks they want to complete. It can be overwhelming when trying to find freebies on the internet, especially if you are looking for educational freebies. They're so many scams out there and it is difficult to know what's safe. Look no further because I created an "Education Freebie Safe List" if you would want to call it that. It contains my top educational resources. The first rule is to not shop hungry. If you try to grocery shop while you are starving, you'll end up with a bunch of extra foods that you really didn't need. ​Shop once a week and create a well thought out store list by including everything you need. This will save you time and gas money later. The less you shop the more you save. How many times have you went to the store for a gallon of milk and spent $30? That's some expensive milk! ​Milk will keep longer if you push it to the back of the refrigerator. Buy one more than you think you'll need so you'll definitely have enough and keep them in the back. Can I Make Money with Ebates? Ebates is a website that offers up to 40% cash back to those of us that start our shopping trip with them. Plus they offer coupons and promo codes. You can use Ebates online and/or iPhone and Android and it's FREE! Can I Make Money With Swagbucks? ​One way I make some extra cash is with Swagbucks. It's free to get an account and they give you Swagbucks (SB) just for signing up. It's an online rewards program that gives members virtual currency for participating in their offers. ​​Swagbucks can be traded for free merchandise, gift cards, or transferred to your PayPal account. I personally save mine until I have $50 and then I transfer it to PayPal. Some people are confused as to how much real bucks Swagbucks are worth. To clarify, it is between 1-2 cents. 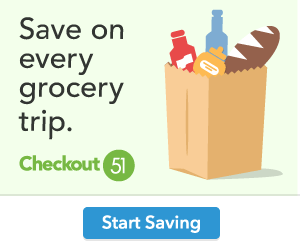 Is Walmart Savings Catcher Worthwhile? The Walmart Savings Catcher app by Walmart is another way that I make and save extra cash and, of course, it's FREE! It's available for iPhone and Android or use it online. In my area, Walmart is one of the cheapest places to shop and now they have a program called the Savings Catcher where if they find a lower price they give you the difference. For example, if you buy a box of cereal at Walmart for $3.50 and a local store sold the cereal for $2.50 the Savings Catcher program will give you $1.00 back. After you make your purchase, open the Walmart app and go to the Savings Catcher tab and scan the code on your receipt. If you don't have a smartphone, that's okay. SavingStar is another worthwhile cash making app. Users earn cash back rebates on groceries and online shopping. It’s available for FREE on iPhone and Android. It is similar to Ibotta and Checkout 51, but it has some very unique qualities that you won’t find anywhere else. There are many ways to make money simply by using your cell phone. I’ve tried a little of everything. Some apps only wasted my time. Some frustrated me so much I quickly delete them. Some apps messed my phone up so badly I wanted to throw it under a bus! Then they are some apps I enjoy and have really earned extra cash with and that I feel are worthwhile. I have several pages dedicated to sharing which apps are worthwhile and I plan to add more as I can. I hope you’ll check them out. In the meantime, I’d like to define what is worthwhile and what is not. One of my favorite ways to save extra cash is to coupon. Am I an extreme couponer? No, I don’t think so, but my family might disagree. Do me a favor and just don’t ask them okay? So, where do I find my coupons? I'm glad you asked. Everyone wants to know how to save money on electricity. I personally have researched this for many years. I honestly can say I have one of the cheapest electric bills of anyone I know and my home is busy 24/7, 365 days a year. So, of course, I have to share my ways of saving on my electrical bill.